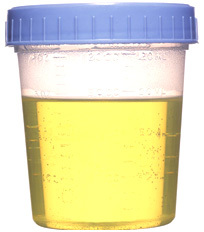 A woman who was carrying a bottle filled with her own urine is facing a drug possession charge after the liquid tested positive for methamphetamine, according to cops who surmised that the suspect was planning to extract traces of the drug from the bodily waste. 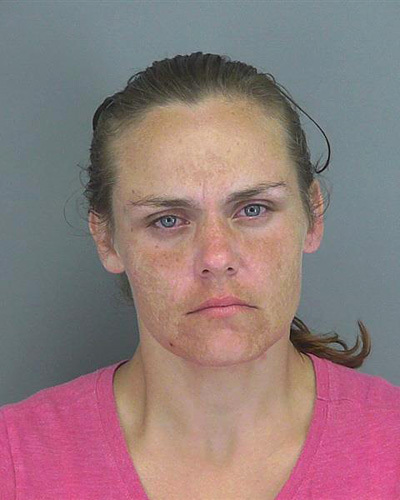 Cops confronted Cindy Wingo, 33, last Wednesday after spotting her and a male acquaintance loitering outside a vacant South Carolina home. During a subsequent investigation, Wingo consented to an examination of her purse. Wingo, seen at left, was subsequently arrested for drug possession and booked into the county jail. She was released from custody after posting $5000 bond and is scheduled for a September 25 court appearance.